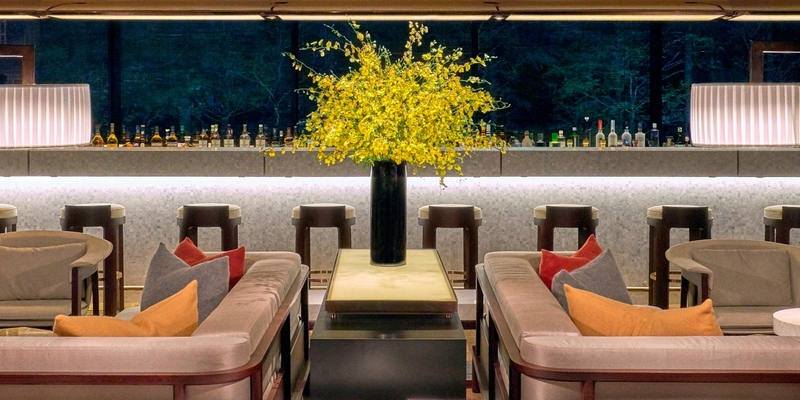 Discreetly hidden behind perfectly lined willow trees, the famed PuLi Hotel and Spa in Shanghai may seem obscure at first glance, but oozes Tom Ford glamour once you step foot in the lobby. Fitted with polished black stone floors, minimalist lines, sleek sofas and dark wood tables, this thoughtful design by architectural studio Kume Sekkei was the inspiration for the grand salon in the house of Colette Bing, the daughter of the third richest man in China, in the Crazy Rich Asians sequel, China Rich Girlfriend. BAZAAR Features Writer, Emmilyn Yeoh checks in for a luxurious weekend experience at this serene sanctuary. 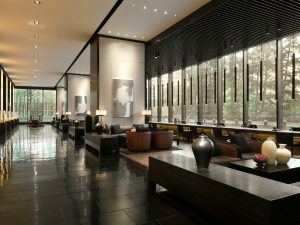 Celebrated as the first “urban resort” in the buzzing metropolis of Shanghai, The PuLi Hotel and Spa is a homage to elegant Chinese traditions and aesthetics. In the 229 rooms (including 20 suites), you will find oriental elements tastefully incorporated into the sleek design of the hotel. We’re talking sliding silk screens in muted shades, Han Dynasty statues, and thought-provoking art from local Chinese artists. 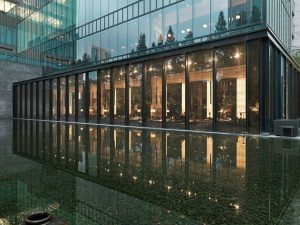 The extremely Instagrammable 25m infinity pool looks out to the lush greenery in Jing’An Park, and is the perfect way to start your mornings. The hotel’s prized possession, UR Spa is on the same floor and shares the same views. Treatments range from high-performing facials to targeted massages, where exfoliating scrubs and revitalising wraps will help ease you into a deeper state of relaxation. The age-old Traditional Chinese Massage is an eye-opening experience for those who aren’t too familiar with the soothing benefits of traditional Chinese therapy. The ancient and complicated techniques of Tui (pushing), Na (pulling), An (rhythmic pressing), Pai (tapping), Cha (rubbing), and Zhen (vibrating) provide a continuous “qi” (flow) for the muscles, allowing the body to restore its balance and circulation. Three inhalations of the “tranquillity” blend of cedarwood and sweet orange from Comfort Zone after help calm the mind, and start the day with new intentions. The hotel’s resident one Michelin-starred restaurant, Phénix Eatery & Bar is where your breakfast, lunch and dinner should be. 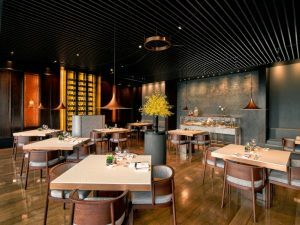 Besides having a refined dining space of rattan covered tables and slender brass lamps, Phénix also places a focus on bringing out the best in fresh seasonal ingredients, through intuitive French cuisine. Helmed by Chef Michael Wilson, comforting French classics are given a new lease of life through his modern interpretation. 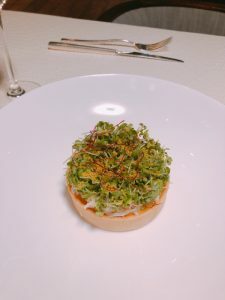 BAZAAR recommends the sweet corn custard tart, with brown crab and bottarga that was a melt-in-your-mouth delight, as well as other dishes such as the whole duck neck sausage, paired with a refreshing endive salad. The curation of Chinese wines here is equally impressive. Don’t leave without finishing a bottle of the lively and young Austrian-style Kanaan Riesling 2015 that hails from China’s most promising wine province, Ningxia. The juicy notes of grapefruit and gentle whiffs of floral delight will leave your palate happy and satiated.